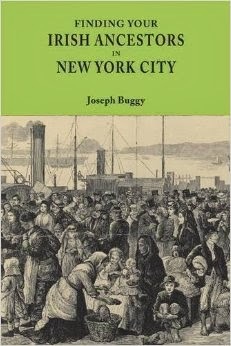 The output of historical works about Irish immigration to the U.S. and Canada is vast. The books and academic journals that focus on the macro-history of Irish immigration can be of value to genealogists as it can help place the story of their immigrant ancestors in the wider historical narrative. However, considerable genealogical value can be derived from historical publications that focus on smaller geographical areas, such as a town, county, early settlement, or rural area. These more localized publications can contain biographies of immigrant settlers, detailed notes about Irish neighborhoods, and useful information that can help with research in records, such as those of the local Catholic Church. One such example is Irish Immigrants in McLean County, Illinois. McLean county is in the center of Illinois and has the city of Bloomington as its county seat. Many of the first Irish immigrants to this area were brought there by working on the railroad that was built through the county in the 1840s and 1850s. These types of publications can be difficult to get hold of. If this book is of interest to your research, two good starting places are the McLean County Historical Society, who published the book, and Worldcat, the worldwide catalog of over 10,000 libraries. You can read a brief introduction to the book at this link.